One of my favorite things about working at Kappa Delta Pi is the opportunity to travel and visit chapters all across the Northeast! 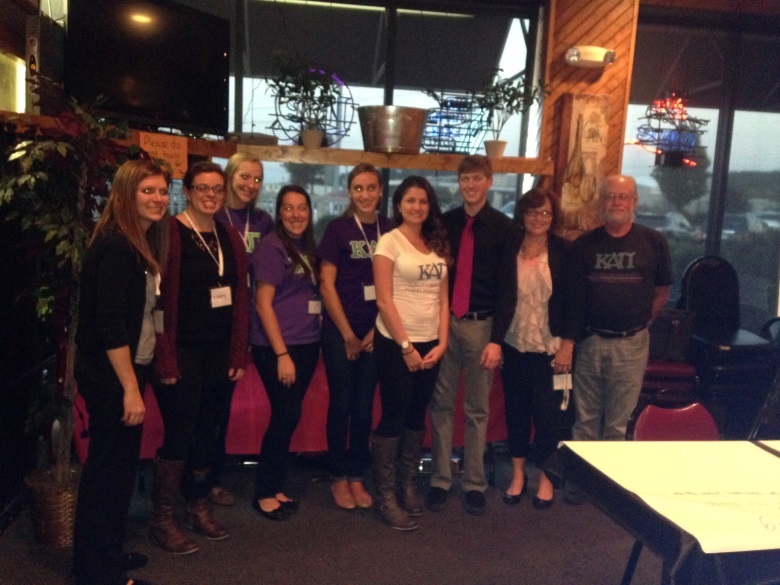 Last week I had the privilege of meeting with a few chapters in western Pennsylvania and New York. One of those chapters was Lambda Eta Chapter at Clarion University of Pennsylvania. 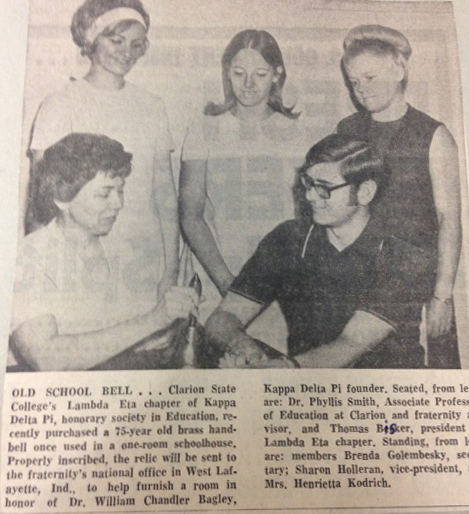 While meeting with Dr. Apple, Counselor, and Betty, President, they showed me some old chapter scrapbooks, including a newspaper article from the 1960s describing an old school bell that the chapter presented to KDP Headquarters in honor of our founder, William Chandler Bagley. We continue to house that same bell in our Laureate Library. I also was fortunate to meet with a few Pennsylvania chapters together as a cluster meeting to network and share resources and ideas. It was wonderful to reconnect with students and counselors that I first met at Convo 2013 in Dallas, as well as meet some new KDP leaders. 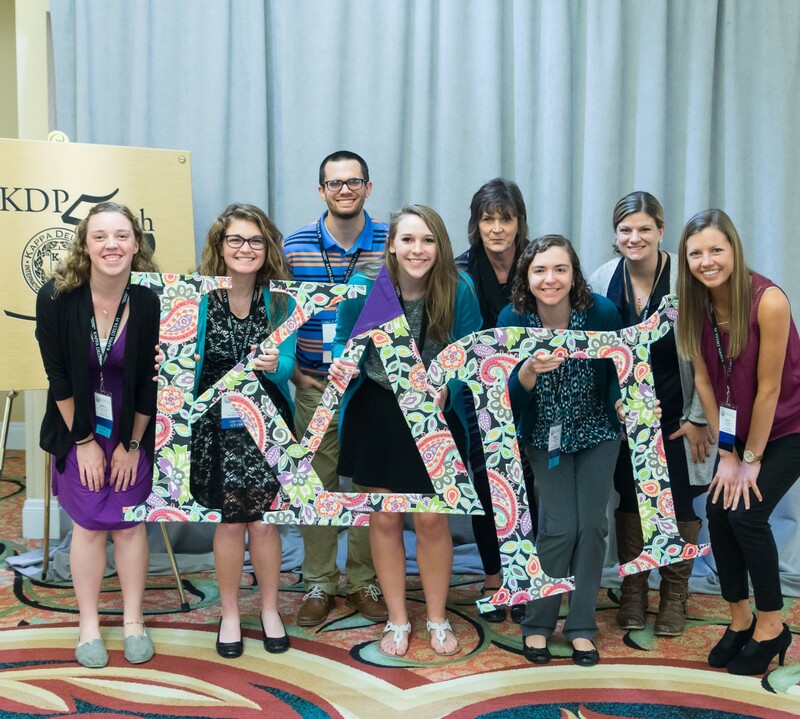 As much as I enjoy sharing information about Kappa Delta Pi and supporting our chapter leaders, I also love hearing about the unique programs and events hosted by our individual chapters. Thank you to the chapter leaders from Robert Morris University, Grove City College, and Slippery Rock University of Pennsylvania for your participation in this small regional meeting. Your dedication and creativity are so inspiring and appreciated. I sincerely value the discussions with chapter leaders during each visit and continue to learn more about each chapter and Kappa Delta Pi as a Society every time I travel. 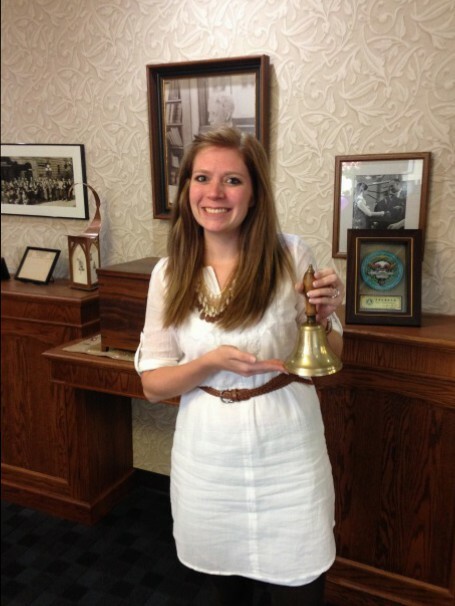 Your ideas, success stories, and challenges allow me to support you as a leader of Kappa Delta Pi and as an educator. P.S. Thank you to Clarion University of Pennsylvania, St. Bonaventure University, The State University of New York – Fredonia, Gannon University, and Mercyhurst University for your gracious hospitality!